Spider-Man PS4 update 1.06 is now available to download. Weighing in at 600MB, the latest patch adds some cool stuff for photo mode and tweaks the existing camera control options. 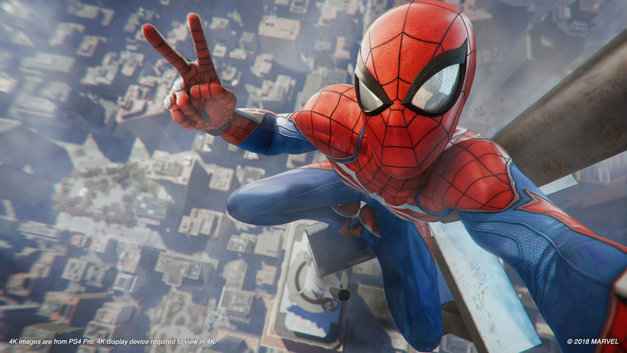 Marvel’s Spider-Man is already silky smooth to play, but update 1.06 (just like update 1.05) also fixes some of the bugs in the game, such as getting stuck on the Empire State Building spire. There’s now the option to invert the camera horizontally and a host of new filters for photo mode, including Halftone, Filmic, CGA, and Posterized. We’re still waiting for New Game Plus to arrive, but hopefully that will land before the year is out! If you’re currently playing Spider-Man and need any help with the Spectograph puzzle solutions or the Circuit Board solutions, check out our guides. Filmic is not a new filter. Just an FYI.